The fully-featured, computerized Brother CS6000i is extremely easy to use; even those who've been away from sewing for a while say they figured this machine out right away. It's a durable, high-performing machine with a vast variety of stitches and settings. Computerized operation means fewer mistakes, better results. The Brother CS6000i is often described by reviewers as a "workhorse." Its 60 stitch selections are said to be very even and consistent, and the nine included presser feet enable users to do a variety of tasks, from plain stitching to embroidery. The walking presser foot is especially popular, although some reviewers warn that it's best left to more experienced sewers. Thanks to the CS6000i's computerized operation, owners report making fewer errors and getting more precise results. If you start a task such as a buttonhole and set up the machine parts incorrectly, an error message will appear, saving you from making a mistake that can ruin your project. Other sewers point out that when you change stitches, the display tells you which presser foot to use. A small number of reviewers say the machine vibrates or produces uneven stitches, and some complain that it's prone to jams or needle breaks, particularly with heavier-weight fabrics. 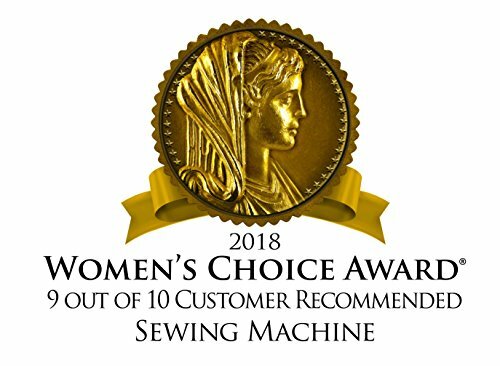 However, the vast majority -- including sewing instructors and professional tailors -- say the CS6000i performs beautifully with a range of simple and complex projects, from clothing and costumes to blankets and crafts. It does not have an automatic embroidery function, but some advanced sewers say they can use still use this sewing machine to embroider their own designs. Simple and intuitive. 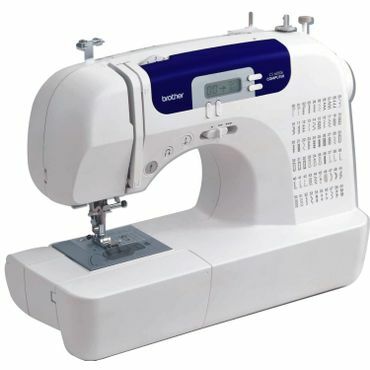 Novice and experienced sewers say the Brother CS6000i makes sewing easy and fun. Many praise its LCD screen, and say the instruction manual is easy to understand. Quilters like the extension table, which they say makes it easier to work on quilts and other large projects. The machine is lightweight at 13 pounds and includes a hard carrying case that makes it highly portable. A handful of owners say the light above the workspace could be brighter, but just as many others say it's fine. Many users note that the CS6000i does not have a memory function and will lose its last stitch setting when it's turned off, so you may want to make a note of your favorite stitches or of the stitch you were using if you need to stop work in the middle of a section. It starts and stops with the touch of a button on the chassis, so you don't need to have good foot or leg mobility to use the CS6000i. Quiet and sturdy. The Brother CS6000i has been around for a good number of years, and we saw very few durability complaints. We saw some complaints -- and correspondingly low ratings -- about the plastic casing, but these seem to be in the minority. All users say this Brother is a quiet machine, although some say the noise level ramps up when you sew on the highest speed setting.